If you are mexican and you live abroad, maybe you have gone through those days when a tear leaves your eye while you sigh thinking about the delight of good tacos “al pastor”, authentic grilled in a “trompo”. Made it like in Mexico City streets. 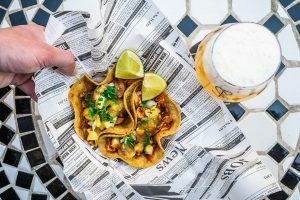 The trómpiras offer the only and authentic tacos “al pastor” in Berlin, prepared as they should, in a “trompo” (vertical gyros grill), with the delicious taste of Mexico. You got to try them! Normally when you get to find these tacos outside of Mexico, they are prepared on a grill plate. 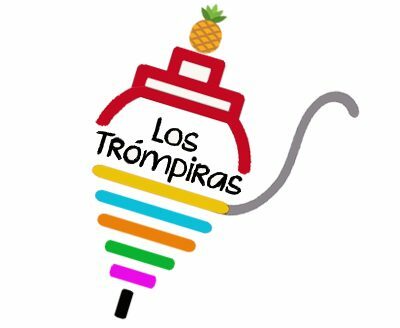 There is a big difference when the meat is cooked with “trompo” and that is why Los Trómpiras are here. To offer the authentic taste of mexican streetfod tacos “al pastor”. If you want us to keep you informed about our following locations and events, please leave us your contact.